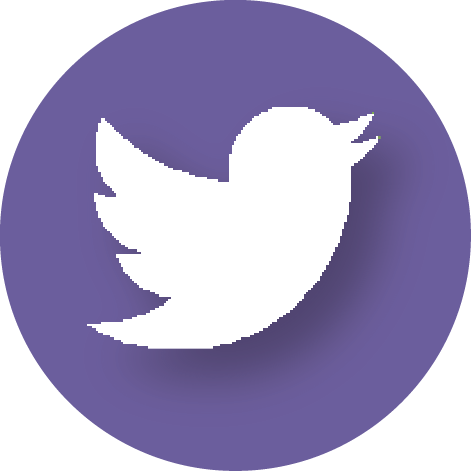 Heard all the buzz about sensory play? 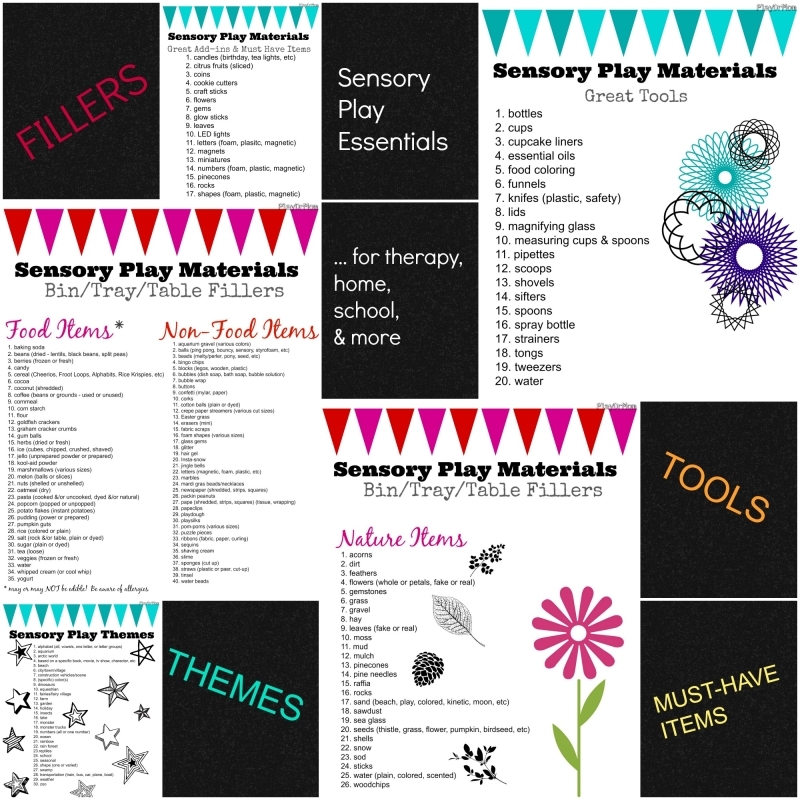 Want to give kids the opportunity for sensory play, but you don’t know where to start? 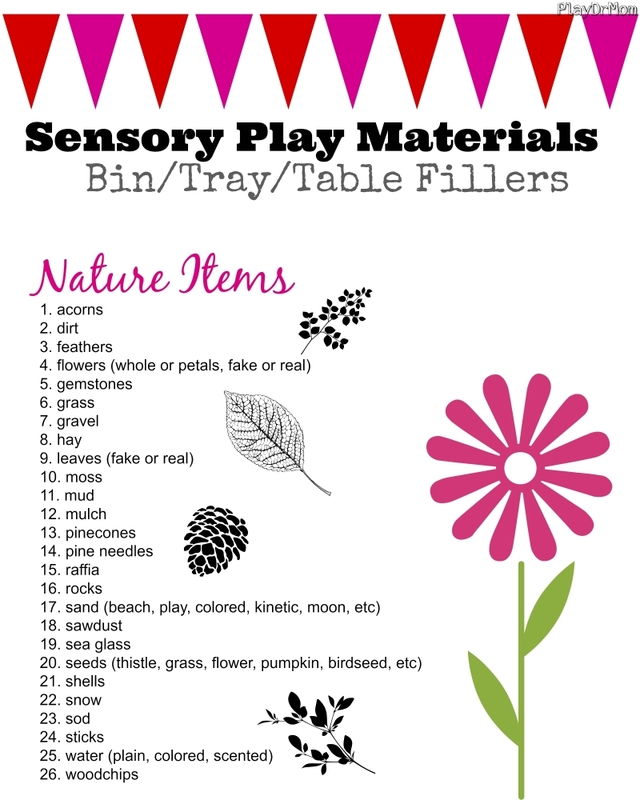 Love sensory play and looking for more ideas? 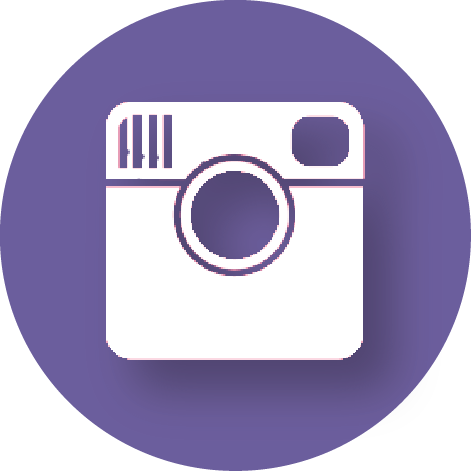 This is the post for YOU! 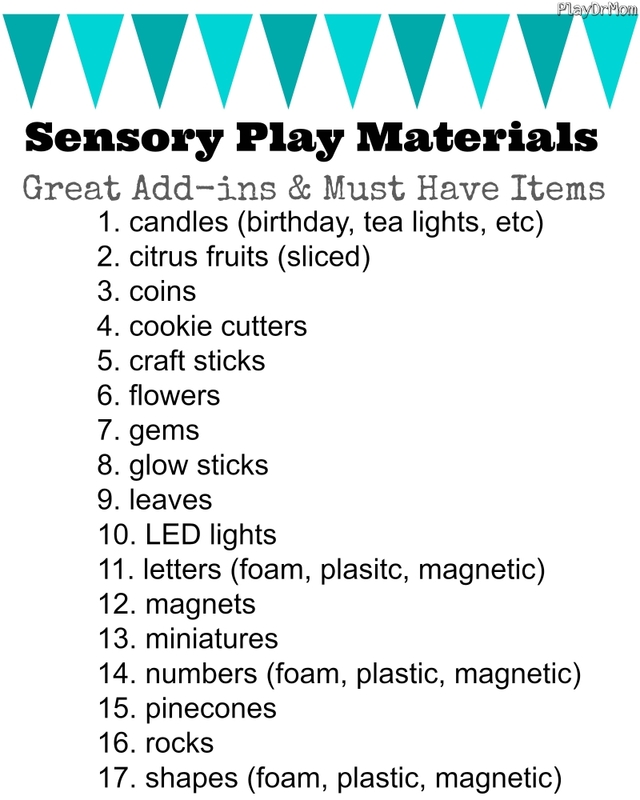 SENSORY PLAY 101! 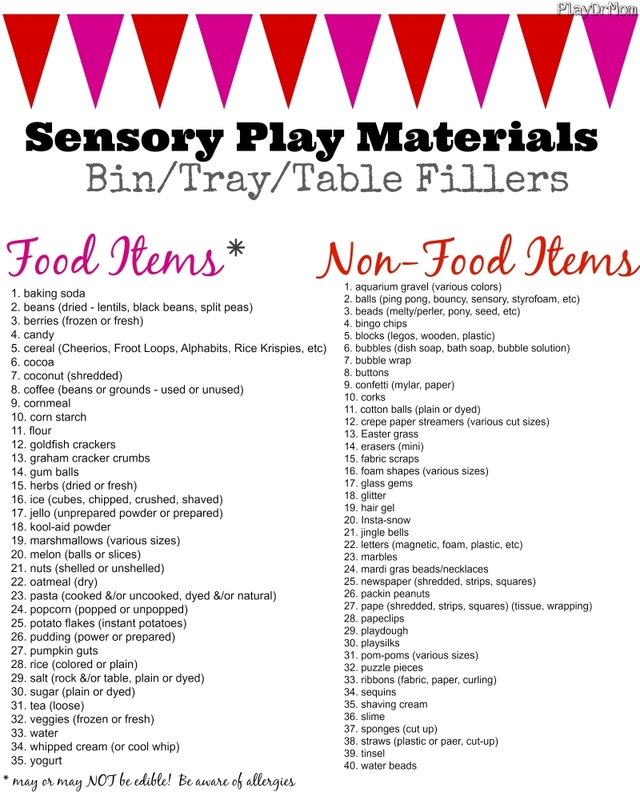 I’ve created several free printable images to outline sensory play essentials, such as fillers for sensory tray/bin/tables/bags/bottles (including food, nonfood, & sensory items), fun add-ins & must have sensory play items, sensory play tools, and sensory play themes. 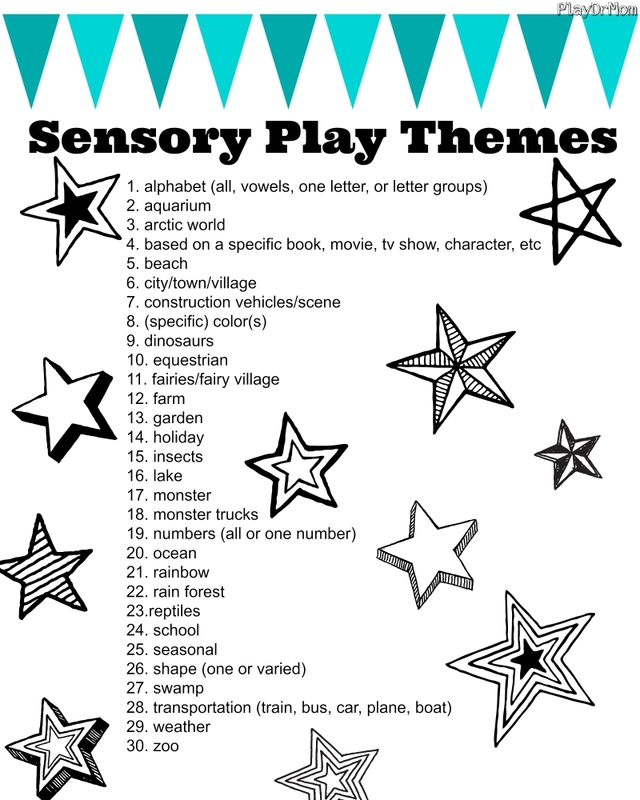 And don’t forget these great Sensory Play Themes! 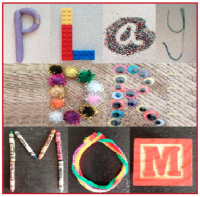 Themed sensory play can be a wonderful tool for hands-on learning! 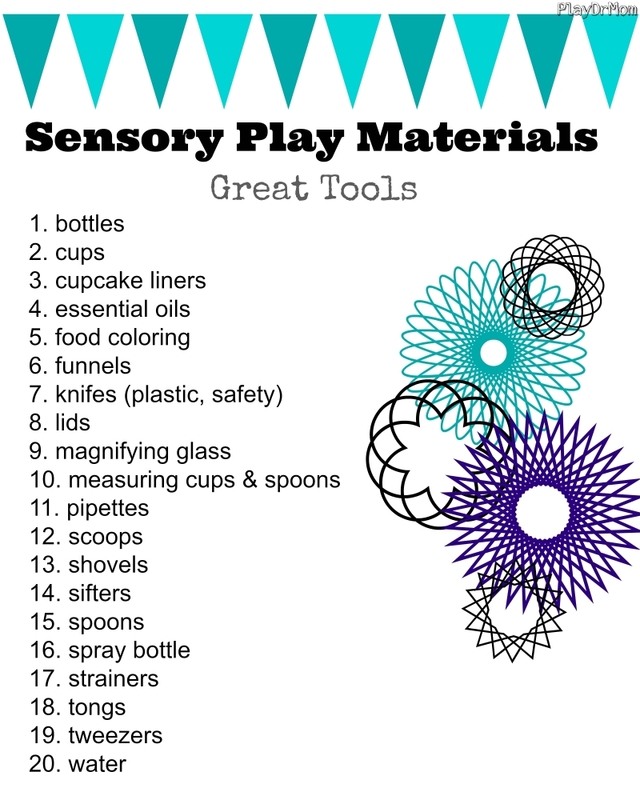 For most, sensory play is fun and soothing. 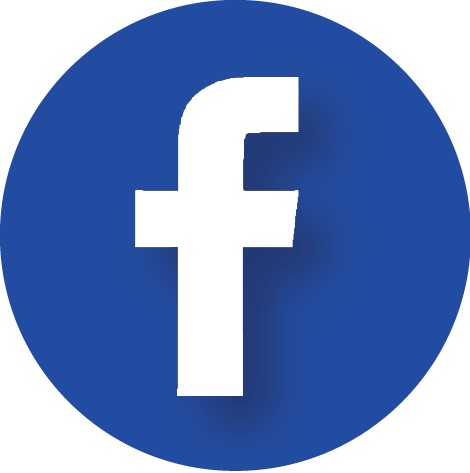 It may help some kids calm down … it may help other kids become more activated. Understanding each child’s unique sensory needs can help us determine what types of sensory play will be most beneficial at what times. Some trays or tables are best suited for the classroom or homeschool based on the fact they are focused on hands-on learning and discovery. These could be trays, tables, bottles, or bags with the themes of particular animals, holiday, letters, shapes, colors, or numbers. 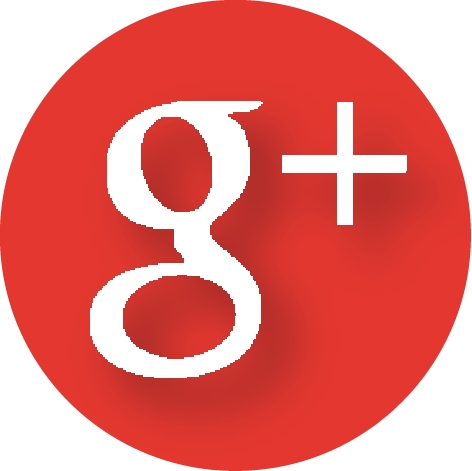 Some sensory play is suited for toddlers that put everything there mouths; and some are better suited for older children. 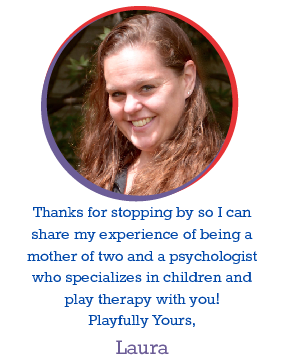 It should also be noted that some sensory play is best for 1:1 direct adult supervision, some better for child-led, and some for small groups. 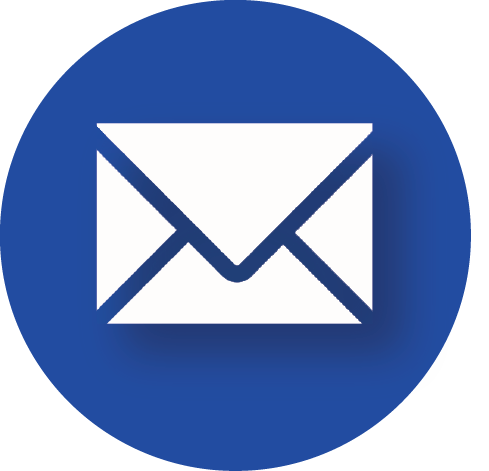 Facilitators also need to be aware of the child’s developmental age, allergies, potential for choking hazards, and keeping sensory materials sanitary. 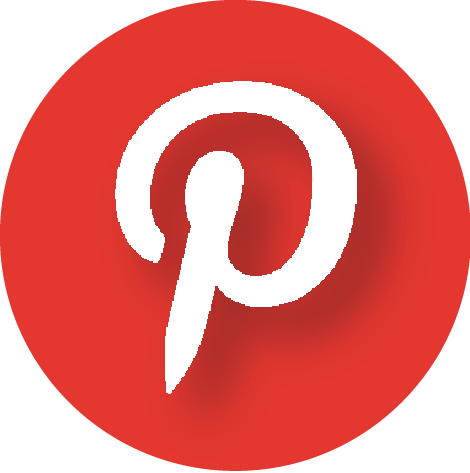 Follow Laura Hutchison @ PlayDrMom’s board Ways to Play: Sensory on Pinterest.